S&P 500 CEOs are some of the most influential people in the United States, especially when it comes to funding both Republicans And Democrats, that’s according to Market Watch roster of top CEO’s political donations to midterm election efforts. Any amount given between Jan. 1, 2017, and Aug. 31, 2018, was taken into account for this list. 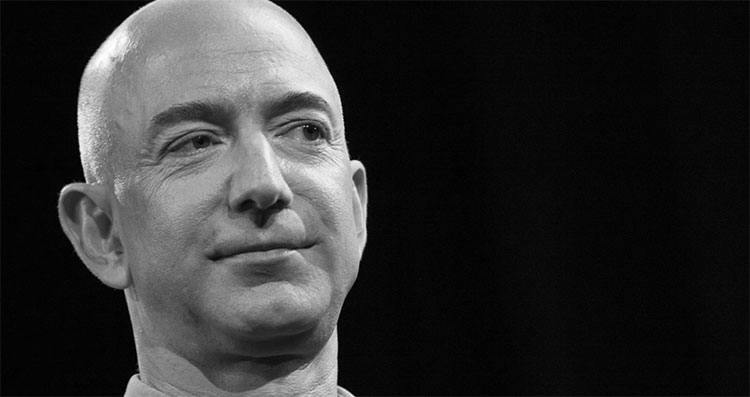 Amazon.com Inc.’s Jeff Bezos, the richest person in the world, has donated more money to the 2018 midterm elections than any other S&P 500 CEO. His $10 million-plus donation primarily went to the nonpartisan organization With Honor Fund, which works to get military veterans elected to Congress. Howard Schultz, the billionaire former Starbucks chief executive officer, donated more than $50,000 to nonpartisan super PACs, Warren Buffett, chief executive of Berkshire Hathaway, donated more than $100,000 to the Democratic party and the Facebook billionaire Mark Zuckerberg gave to Facebook’s PAC, which donated equally to both parties. Can you guess which top CEOs donated more to Democrats than Republicans? In total, 338 CEOs contributed more than $24 million to midterm election efforts. Of those, 149 donated more than $2.6 million to Democratic groups and candidates, and 200 CEOs gave more than $7 million to Republican groups and candidates. Party: $10,800 went to both the GOP and Democratic party equally. John B. Hess, Hess Corp.
Party: $862,600 went to the GOP. Party: Full donation went to the GOP. Party: Full donation went to the Democratic party. Party: $6,666 went to the Democratic party only. Party: $59,825 went to the Democratic party; $410,000 went to the GOP. Party: $32,600 DEM; $399,800 GOP. Party: $10,000 DEM; $244,722 GOP. Party: $41,000 DEM, $194,800 GOP. Party: $10,100 DEM, $176,100 GOP. Party: $48,500 DEM; $140,000 GOP. Party: $15,000 DEM; $173,600 GOP. Party: $5,400 DEM; $179,700 GOP. Ian C. Read, Pfizer Inc.
Party: $25,800 DEM; $145,400 GOP. Party: $5,400 DEM; $154,700 GOP. David M. Zaslav, Discovery, Inc.
Party: $16,200, DEM; $118,900 GOP. Party: $89,500 GOP; $23,300 DEM. David N. Farr, Emerson Electric Co.